Can you dominate the World colorful cells of Agario? In this fun-addicting MMO game it's all about to eat or to be eaten. But there are two simple rules to follow. First: you only can consume targets that are smaller than you as you should match the color to evolve yourself. Second: you must give larger objects a wide berth or you will die. Ready? Start moving across the grid trying to catch all the tiny blurs of color. Eat, grow, split, multiply and rule over other players of the free game Agario world wide. 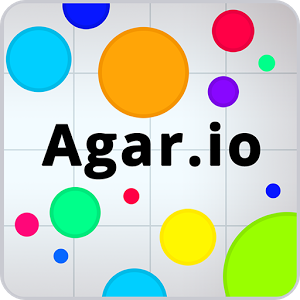 Enjoy the world of Agar.io! play online Agar.io game Now.